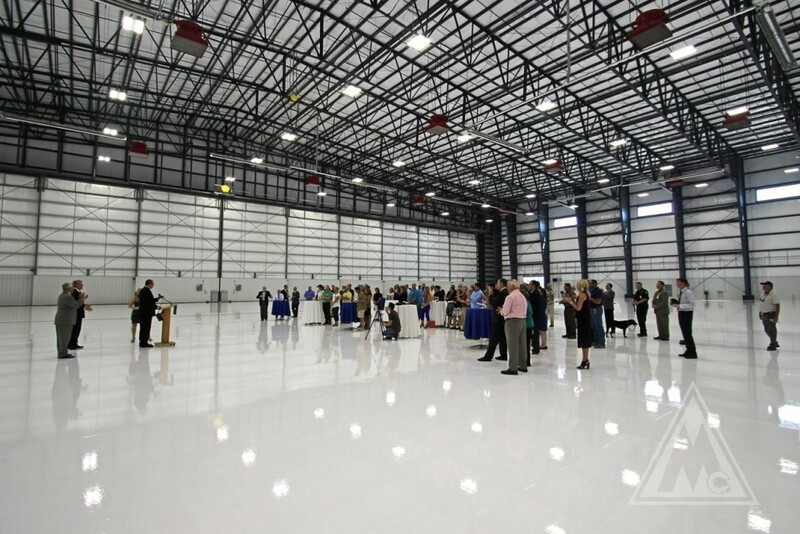 Featured Project - SkyWest Airlines Aircraft Maintenance Hangar - McAlvain Companies, Inc.
Over the years, McAlvain has invited new clients to “Discover the McAlvain Advantage”. 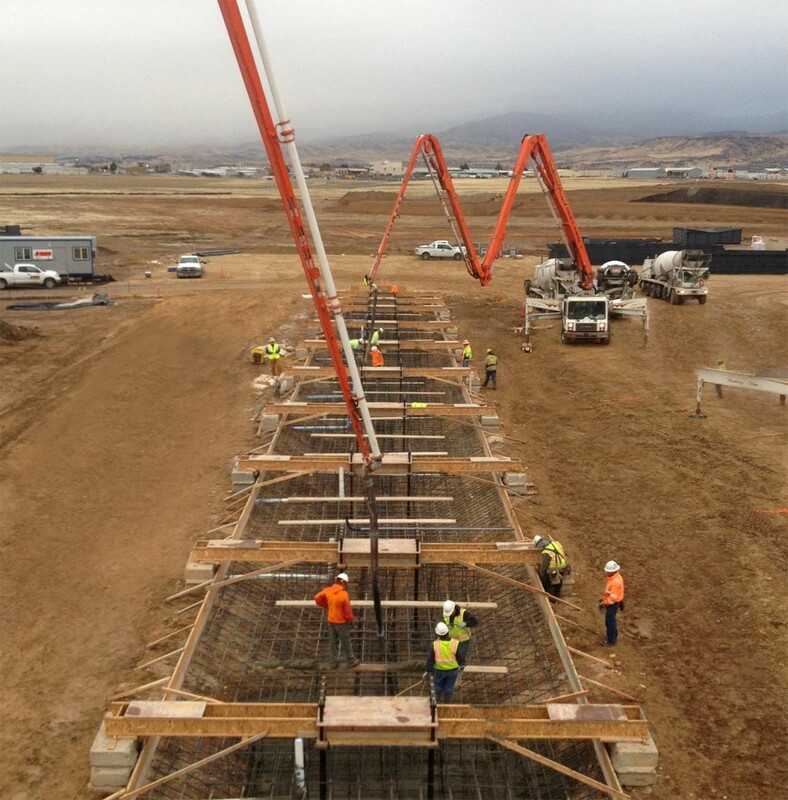 Our unique approach to the Design/Build delivery process maximizes the benefits during the pre-construction and construction phases. 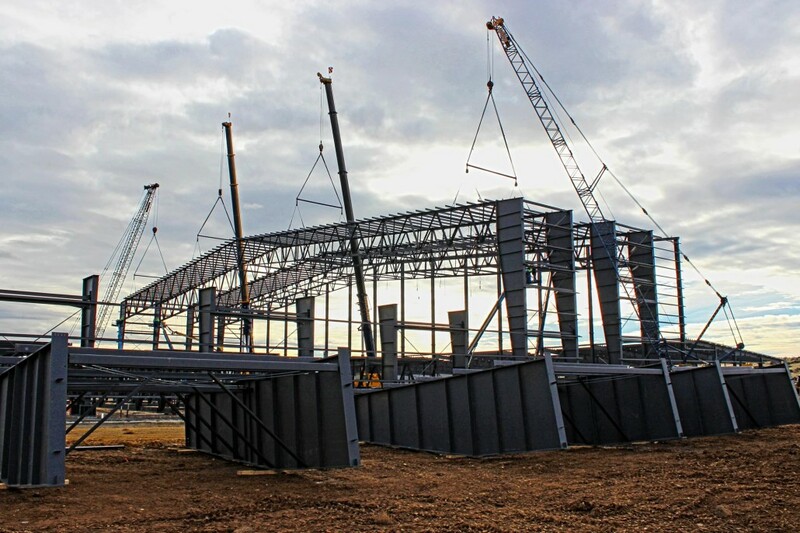 We take pride in our ability to design and construct within the Clients’ Budget and complete our projects within shorter time frames than traditional project delivery schedules. 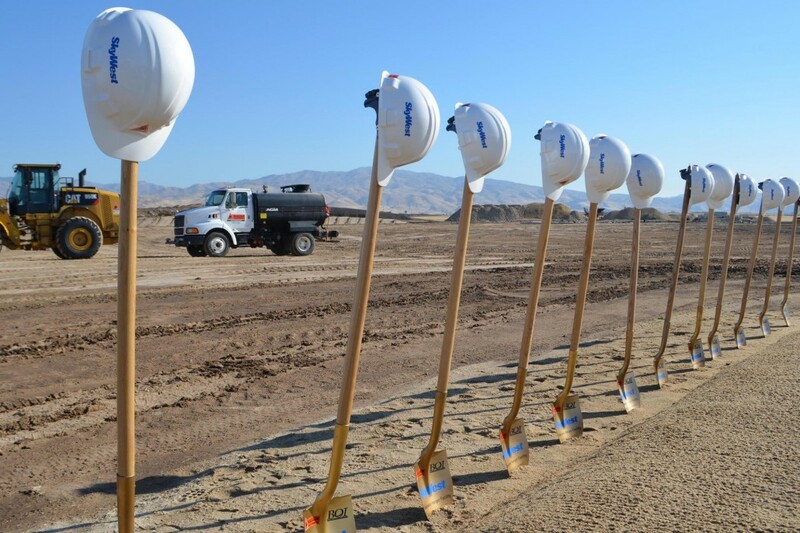 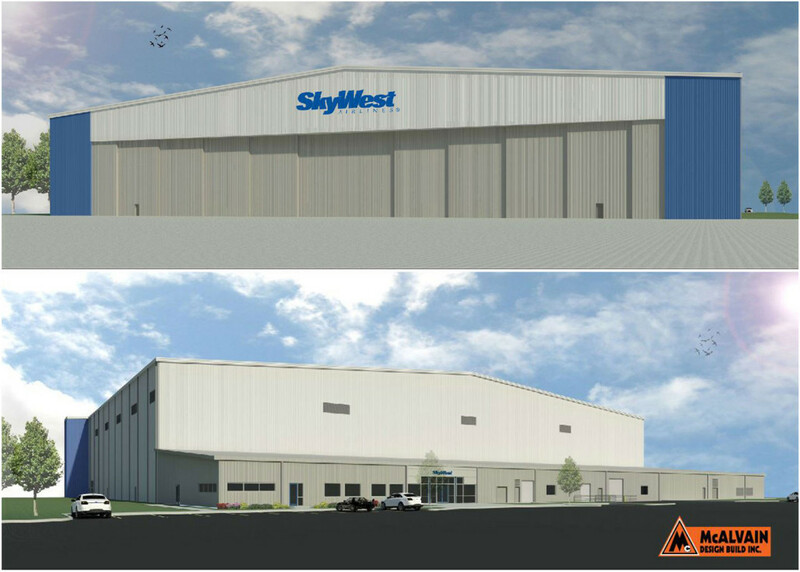 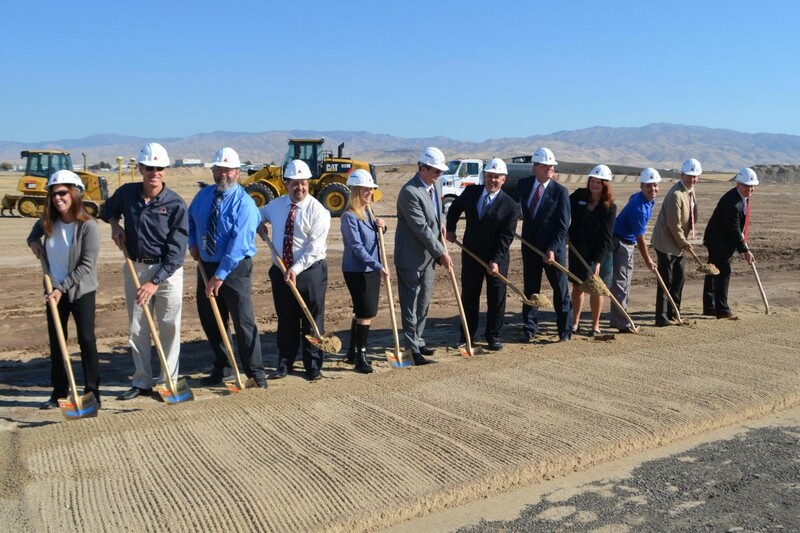 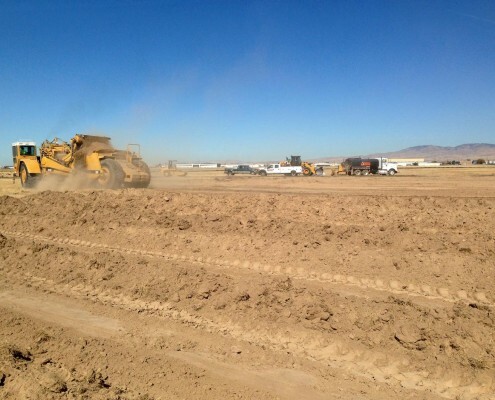 SkyWest Airlines issued an RFQ to design/build contractors for its new Aircraft Maintenance Hangar to be constructed here in Boise, Idaho. 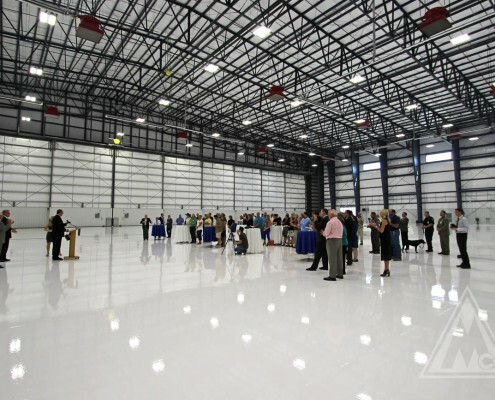 McAlvain Design/Build was chosen over other design/build contractors to lead the design and construction of the Hangar based on our teams relative experience and expertise in the design/build delivery methods as well as our successes in fast-track construction. 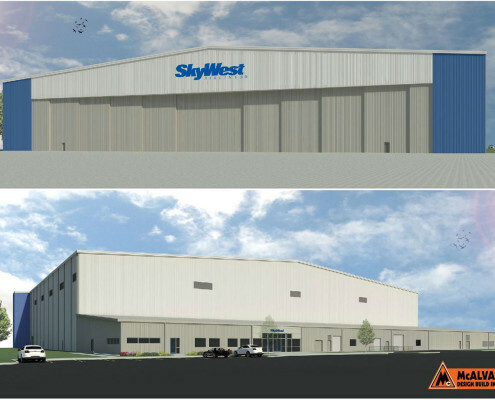 During the proposal stage of this design/build project, a preliminary estimate was created based on a single sketch of a floor plan. 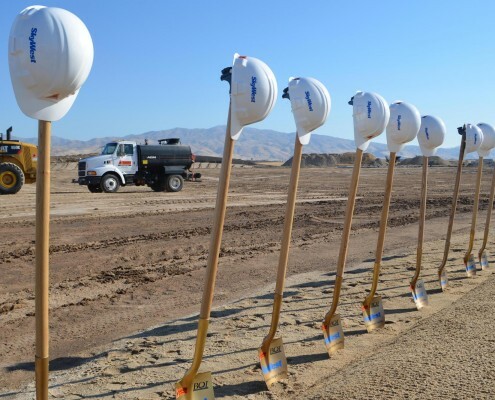 With a multiple array of projects in McAlvain’s past experience, we were able to successfully and confidently present a realistic budget with little more than a concept. 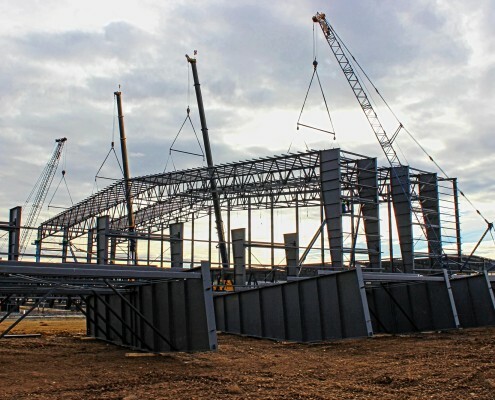 With the design phase at its end, the original budget was proven realistic and additional scope and value engineering opportunities were realized. 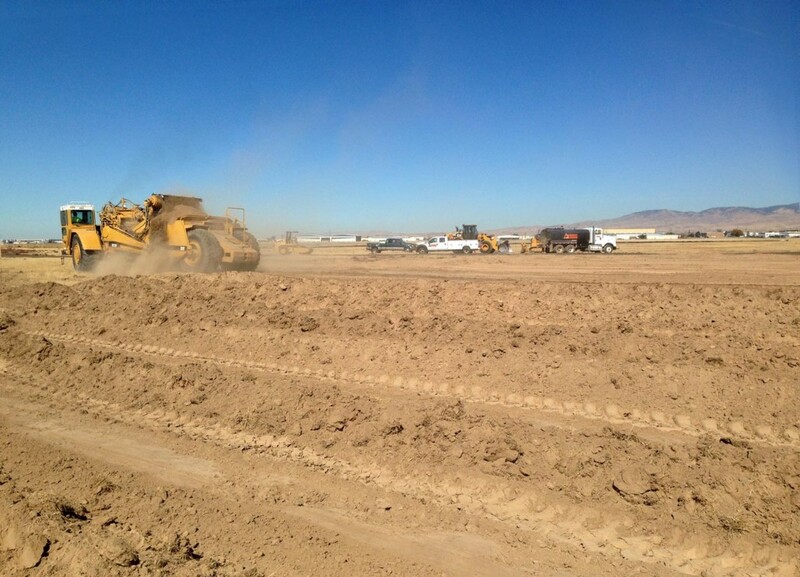 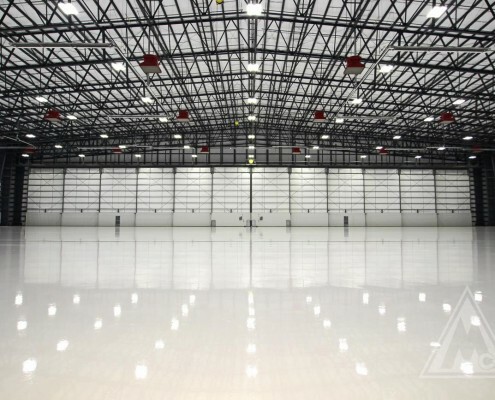 Construction of the Hangar was completed on budget and schedule. 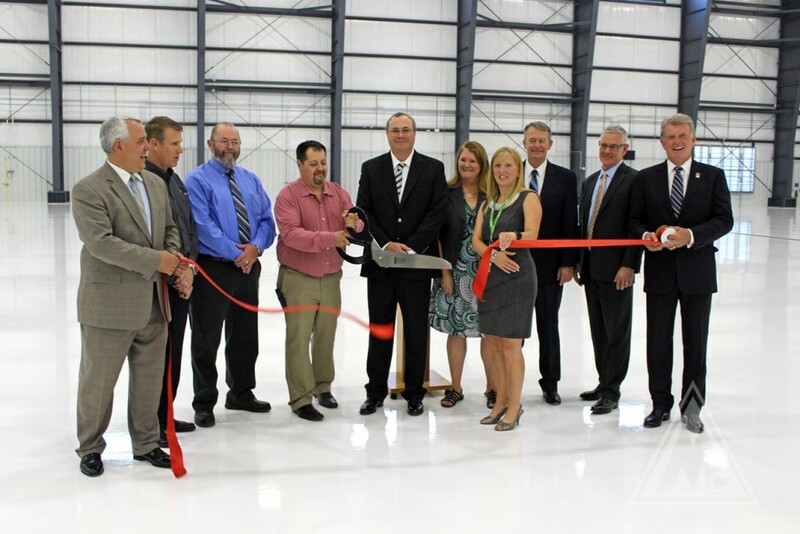 A ribbon cutting ceremony was attended by SkyWest and State of Idaho officials including SkyWest Airlines Vice President of Maintenance Bill Dykes, Idaho Governor Butch Otter, Boise Mayor Dave Bieter and Boise Airport Director Rebecca Hupp. 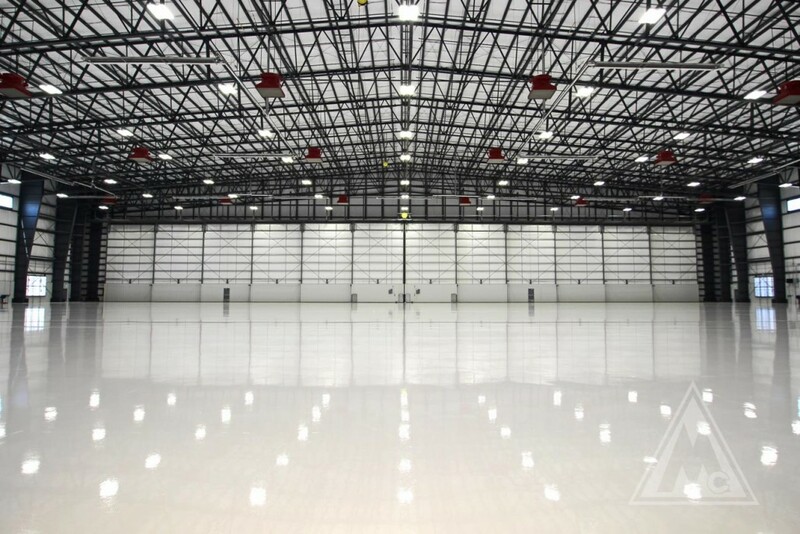 80 ft Roof height with tapered columns, clear-span frames and bay spacing at 25 ft.
Clear height within building is 55 ft with 45 ft door clearance. 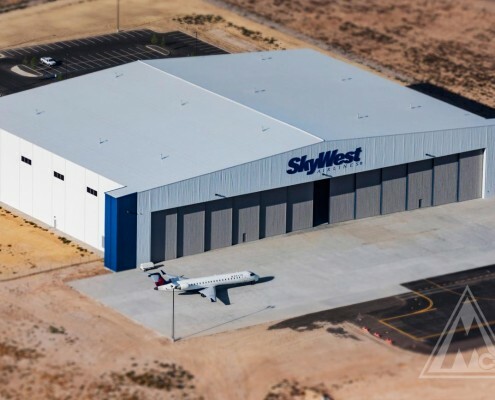 As a leading air service provider offering global access to millions of people each month, SkyWest partners with the world’s largest network carriers including United Airlines, Delta Air Lines, US Airways, American Airlines and Alaska Airlines. With a fleet of 350 aircraft, SkyWest’s more than 10,500 aviation professionals operate nearly 1,800 flights each day to 185 destinations throughout North America. 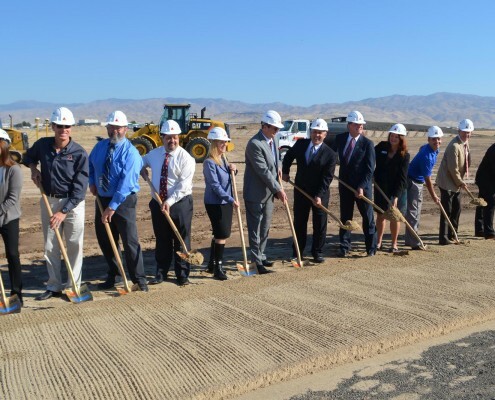 SkyWest is known for its industry-leading workforce, exceptional leadership team, and continued solid operational and economic performance. 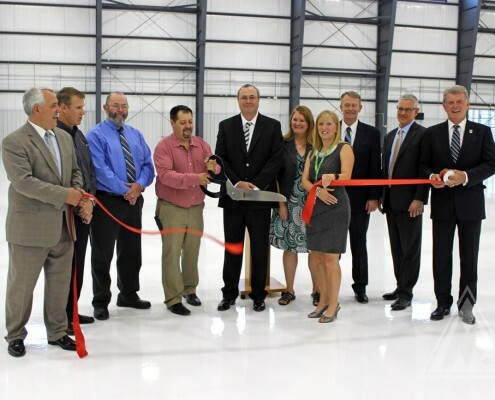 The airline is headquartered in St. George, Utah. 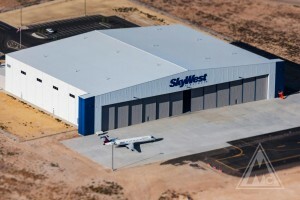 Visit www.skywest.com for more information. 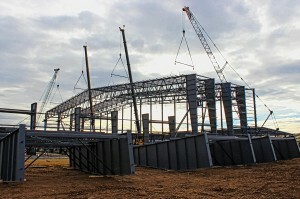 Learn more about our design/build services. 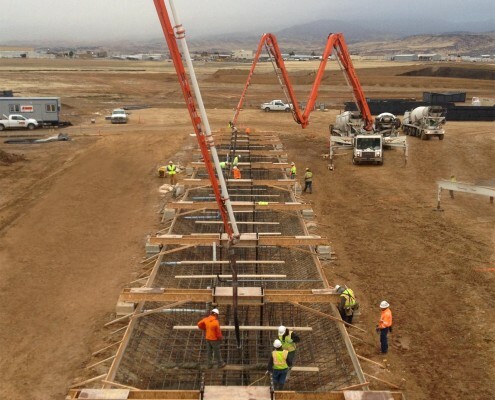 McAlvain self-performed 34% of the work with its own forces including the excavation, concrete footings, foundations and slab on grade concrete.